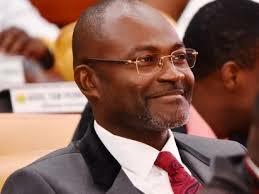 Business magnate and New Patriotic Party (NPP) Member of Parliament (MP) for Assin Central, Kennedy Agyepong has promised a GH¢5000 monthly salary retainer each for five renowned Ghanaian highlife musicians. AB Crentsil, Nana Kwame Ampadu, Jewel Ackah, Obuoba JA Adofo and CK Mann according to the lawmaker will receive their first payment for December 30, 2017 and are expected to be receiving same till their death. Announcing the package at the Musicians Union of Ghana (MUSIGA) Presidential Ball on Friday night, the controversial politician said it was part of his package to the development of music in the country indicating that the five highlife musicians should not be allowed live in abject poverty. The occasion was also used to raise funds for the country’s renowned musicians who in their old age are unable to fend for themselves.